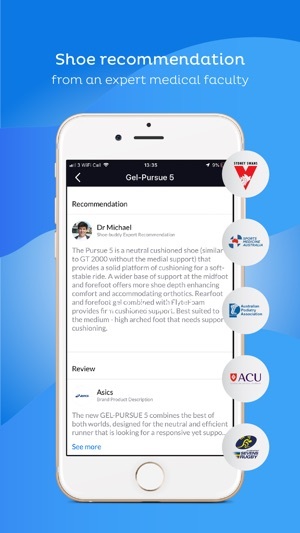 Our SHOEGenius™ recommendation engine couples world-class scientific and academic expertise with its patented state of the art FOOTGenius™ technology to size your feet to the best sports and lifestyle shoes in the market, delivered through a simple and effective mobile application. 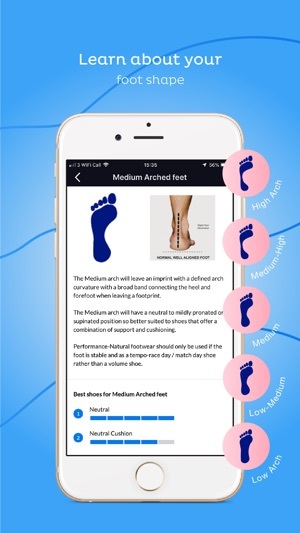 Any foot specialist, sports medicine practitioner or shoe fitter will recommend you undergo a foot assessment in order to select the most appropriate shoes for your feet. 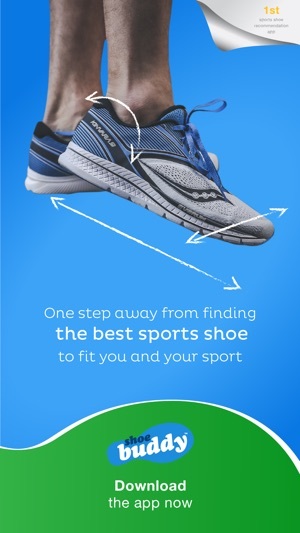 Shoe-buddy gives you all this guidance in an App. 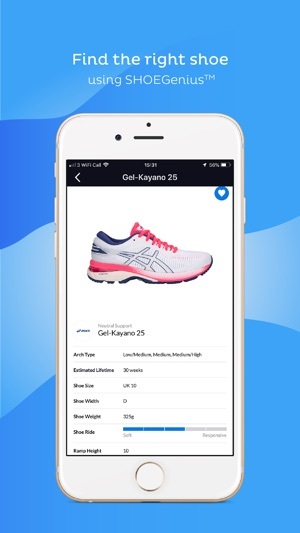 Shoe-buddy Healthcare app can enable healthcare professionals due to our extensive database and research to give more select advice on the type of sports shoe they should wear for a given activity. At no time should Shoe-buddy be seen as a replacement to this professional healthcare advice. 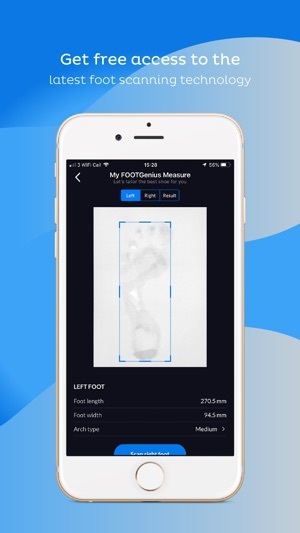 The Shoe-buddy App will give you access to the Shoe-buddy proprietary patent foot scanning technology that digitally takes an image of your footprint and interprets your foot shape into its length, width and arch type all from your mobile device! 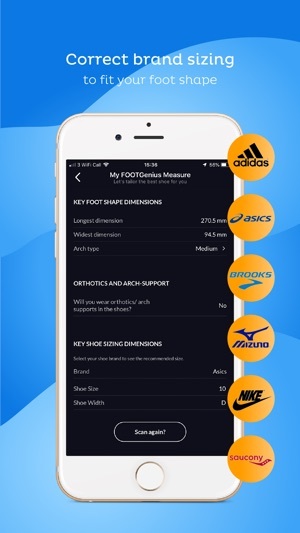 Shoe-buddy simplifies the complex decision around the different brands shoe-sizing. 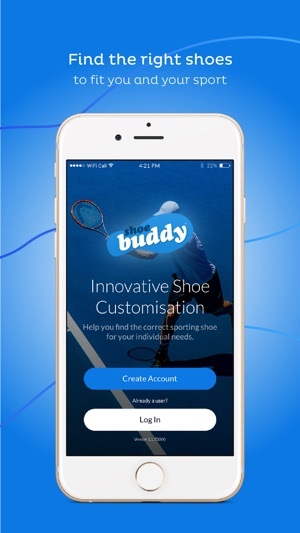 Shoe-buddy is your resource to review manufacturers’ shoe descriptions, benefits and features and gives you exclusive access to independent, non-bias expert shoe recommendations. Personal Profile and Shoe Metric Measurement - US, EU and UK. Sports Medicine Australia Sports Shoe Assessment. Database of over 800 shoes. Pre-Market Sport Shoe Releases (Australia only).